Looking for the easiest & efficient way to integrate Stamps.com USPS Postage with WooCommerce shopping cart? Tired of copying and pasting order details just to create a label? Here is the solution from ELEX (previously known as XAdapter Stamps.com plugin); a Stamps.com Approved Integration Partner! Our ELEX Stamps.com Shipping Plugin with USPS Postage for WooCommerce is a WordPress / WooCommerce extension that helps you to completely automate USPS shipping using Stamps.com by displaying shipping rates in cart/checkout page, pay postage & print label from within WooCommerce, pack items automatically into boxes and enable tracking. Step 1: Install the Plugin, input your Stamps.com Account details and enable Stamps.com – USPS Shipping Method for WooCommerce. Step 2: Customer sees USPS shipping rates provided by Stamps.com, based on items in their cart before placing an order. 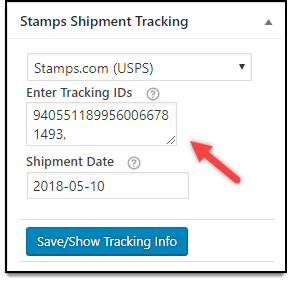 Based on the product weight, box dimensions, shipping destination etc., this plugin fetches USPS postage rates from your Stamps.com account for both domestic and international shipping services. You can choose to return list rates or account / negotiated rates. There is also an option to set conversion value in case the shop uses a different currency. Print shipping labels within WooCommerce. After logging in to the WordPress admin area, you can create a shipment by clicking on the ‘create shipment’ button on the right side of the order details page. Shipment details would automatically be sent to Stamps.com online account and then the shipping label (GIF / JPG / PDF) would get generated which you can print. Postage is automatically paid on these labels using your Stamps.com account. There is an option to change the shipping service and box/parcel dimensions (if enabled in the plugin settings) manually before generating the label. This plugin integrates with Stamps.com APIs to print domestic or international shipping labels with a tracking barcode. 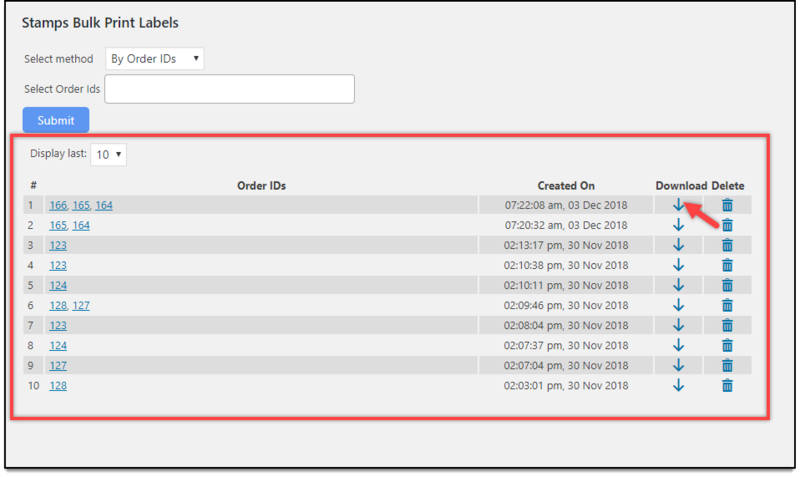 Although you can create shipments in bulk in the WooCommerce Orders Page, you can use the bulk label printing add-on to create multiple shipments at once as well as print them in a single PDF file. If you wish to take out the overhead of generating shipping labels manually, you can try our auto-generate and email labels add-on. The tracking number returned from Stamps.com while generating the label would be added to order notes and will be sent as part of the order completion email. This enables Shipment Tracking for customers and shop owners. Further, under Weight and Dimension based packing method, you have two packing algorithms; Volume-based and Stack First Algorithm. Not just this, you can configure how the Unpacked items have to be processed. With the help of Stamps.com USPS Bulk Label Printing Add-On, you can generate shipping labels in bulk and download them in a single PDF file. You can bulk print labels using WooCommerce Order IDs or Order date range. This saves a lot of your time on printing labels one at a time. 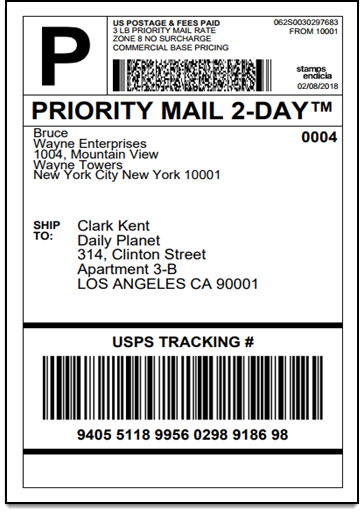 The Stamps.com USPS Auto-generate and Email labels Add-On makes your label generation task easier by automatically creating shipments, generating labels, and sending an email notification with the shipping label, for you and your customers. This saves your time on manually generating shipping labels. Stamps.com is a leading provider of Internet-based postage services. With over 500,000 customers, Stamps.com’s online postage service simplifies access to the lowest USPS shipping rates and the most popular USPS services for small businesses, enterprises and online retailers. Whether you ship one package a day or 1000, from your garage or from a giant warehouse, Stamps.com has the tools to make your USPS® shipping process faster, more affordable and more efficient than ever before. For obtaining Stamps.com credentials, you have to signup for a Stamps.com account. We had a small issue after install related to a no longer supported API by the shipper. XAdapter responded to our ticket quickly and immediately fixed the issue. Great support from a fantastic company. I have to say that this developer has excellent response time to any issues. The stamps.com plugin works great and adds a lot of functionality to the shipping process. Very easy to install and Im not very techy. Customer service is great, very responsive. Plugin works seamlessly. Yes, you can disable the Real-time rates option in the plugin settings and use the plugin only to create Shipment labels. Will the plugin work if my shop location is out of the United States? The ELEX USPS service works if the ‘ship from address’ is US. It will not work if you have a ship from an address outside of US. Yes, Once the labels are generated, you need to mark the order as completed. Make sure you have enabled the email service enabled in the WooCommerce settings for order completion. Is there a monthly fee I need to pay to Stamps.com? Yes, for maintaining the stamps account you have to pay a monthly fee. But their postage charges are lower compared to USPS retail rates. Can we set the USPS retail rates in Stamps.com plugin? Unfortunately, this feature is not available in Stamps plugin since the API only returns the discounted rates. But you can use the Price adjustment field in the plugin settings to increase the shipping cost by a fixed value or percentage. What are the label file formats & layouts supported by Stamps-USPS plugin? The plugin supports PNG, GIF, JPG & PDF formats. PDF is the most popular format among our customers. The plugin supports most of the layout supported by Stamps.com. This includes 4×6, 6×4, 75×2, etc. Yes, you can use our ELEX Stamps.com USPS Auto-Generate & Email Labels Add-On to automatically create shipments and generate labels. The add-on will also send an email notification to the shop owner and customers. What do I need to do for integrating the plugin? You need to open a Stamps.com account and add billing information in your Stamps account. Use the login username and password in the plugin settings. How to hide first class option when the order is over 16oz? The API will automatically hide the first class option when order total weight is over 16oz. But make sure you use the packing option as ‘Pack based on weight’ or ‘Pack into boxes with weight and dimension’. If you select ‘Individual item packing’ and a few of the products’ weight qualify for first class, the First class option will still show up as an option. Can I export the orders to stamps and create shipment? This is not possible with the plugin since the plugin already has the print label feature within the plugin. Is this plugin compatible with TM Extra product Addon plugin? Yes, the plugin is compatible. If you have the weight set in the TM Extra product plugin, it can retrieve the weight from there as well. Is it possible to charge an insurance fee from the Customer for the items part of the order? Yes. We have an option in the plugin which allows you to charge the customer for insurance. Insurance provides coverage in the event that the packages are lost or damaged while in transit. I have lots of bundle products on my store and use WooCommerce Products Bundle plugin. Is your Stamps.com plugin compatible with the Product Bundles plugin? Yes, our Stamps.com plugin is compatible with WooCommerce Product Bundles plugin. ELEX stands behind their plugin with fantastic customer support! The plugin is great, they thought of everything! They are my go-to for anything Woocommerce related. 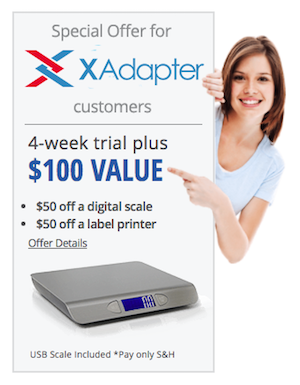 After shopping around and even trying out an alternative plugin, I have to conclude (as other reviewers have) that there is nothing out there that comes close to offering the options and functionality of XAdapter for Stamps.com integration (at a good price). Not to mention the outstanding responsiveness of Lorenzo and the support team. I still wish it could do everything I wanted without hacking the php, but at least I have that option. I’ll be sticking with XAdapter. I’m leaving a 5 star review here to balance out my previous 3 stars. Customer service has been great. My disappointment has been with the limitations of the plugin itself. I use a variety of USPS shipping methods, including certain flat rate packages. I know exactly how many of my products will fit into each type of package. Once an order reaches a certain weight, I want certain shipping options to disappear. But I can’t adjust the weight limits of each service without without getting ftp access and changing the php file! This just seem like something a non-developer like me should be able to adjust inside the plugin options. I have been able to work around this with flat rate by using another plugin for flat rate weights and disabling those packages in XAdapter. If this were fixed so each package type was easily and totally customizable, I’d give 5 stars. Great Plugin. We have been using it for a few years now. Whenever I have had an issue (only a few) these guys always respond quickly and can troubleshoot in a timely manner. Works flawlessly. Great plugin. Also, XAdapter’s tech support response time is awesome. They helped us solve a couple of little problems within days. Can’t recommend enough!!! Extremely responsive support and a great experience overall. Works great for my application. Everything is convenient and thoughtless to use. Customer service has come in handy and they are extremely responsive and helpful. I’ll definitely be buying more XAdapter products and would recommend them to anyone. Works Great So Far. Had a few issues that were fixed quickly. Support is Great. First let me say, I have tried another Stamps.com plugin and found this one far superior. I did run into some issues after an update, however, it was resolved fairly quickly. I had an issue after updating to v1.8.5, but tech support worked on another update v1.8.6 which solved the issue. Great support. Thanks. I’m hoping the fix will be coming this morning? My site has been down since June 19 after upgrading to v1.8.5. No shipping options are available. Your plugin is critical for my business. Thanks. Support is the best of any extension I have purchased. They helped me through a theme specific issue and resolved it quickly. Their response time is very fast. Great extension! Great customer service in helping with issues for our online store. Great support! I got an answer and a fix within 12 hours of asking my question. Cant argue with great service! Mark and his team of supporters have been very helpful and respond fast. They answered a lot of my question prior, directed me to who I needed to talk to. Ofcourse being tech literate helped too but they were very helpful throughout the whole process. Now I am able to ship packages at home, slap a paid label and postage using the stamp.com plugin. Also, I tried the normal plugin originally but support easily switched me to the postage plugin with no issues upon request. Everything works with my woocommerce. Thanks support team! Longest review I’ve written! Outstanding service with very fast response. They helped me update the plugin right away and the plugin works great with no issues. Of all of the plugins that I use and have tried Xadapter has provided the best service. Great fast support! Definitely recommend these guys! So far so good, does everything you need it to… Support is great! Amazing support! They helped me get setup late at night and were extremely helpful in their support! But this plugin! It will pay itself off with the time saved of individually making labels! I was angry for 2 hours because I didn’t read the damn instructions. Make sure to remove other shipping methods, as they took default over this. However, in the last 4 hours of operation, we got it dialed in and now we have our trained monkey (me) printing orders and getting everything done in such a pace that I might see my family today. Nea in support was quick to reply and got us up and running in no time! 5 stars! I haven’t used the plugin yet but couldn’t find where to download it. They responded right away and the problem was solved. We’re off to a good start! The plugin looks good and the support from Ando was great, the response was quick, curious, professional, and solved my issue. Excellent support, quick response. Very pleased. Great response from the development team.. product works as advertised. Hello every one I got this plug , I had some trouble …but it was my fault…I did not set it right. I contact support and…let me tell you….I give a ” A “, or 10 if you like numbers. NEA was more than helpful and real quick about it. I have bought a couple of plugins from WooForce including this Stamps.com with USPS postage. Their customer service is outstanding. They are quick to respond to questions and concerns, and if needed, they work with us on our servers to address any configuration issues. Plugin works as documented. We originally bought the stand alone stamps.com API plugin. Then decided to go with this plugin This plugin shows the live shipping rates online, allows us to hide postage and automatically print the postage for the shipping service that customer chose during checkout. We have been very happy with the plugin and the tech support. Works like a charm. Great product! Great Customer Service! Your support is amazing ! Some difficulties to configure it but it’s work very well and do the job! Wooforce support has been outstanding! I was challenged with accurately configuring the weight and dimension calculation for multiple items in cart to fit in one box and calculate accordingly. Support took the time to understand my products and how best to recommend the correct settings. The solution was correcting the inner dimension of the box. 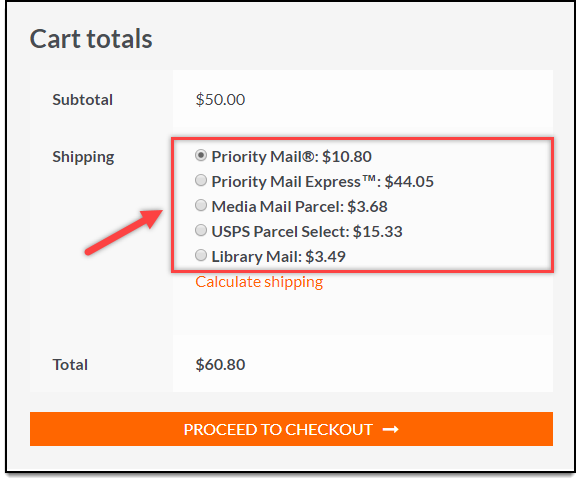 This plug in now calculates USPS shipping costs based on user address accurately. Thanks Wooforce for your patience in helping figure this out for me. Very convenient plug in with great customer support. Highly recommend it!